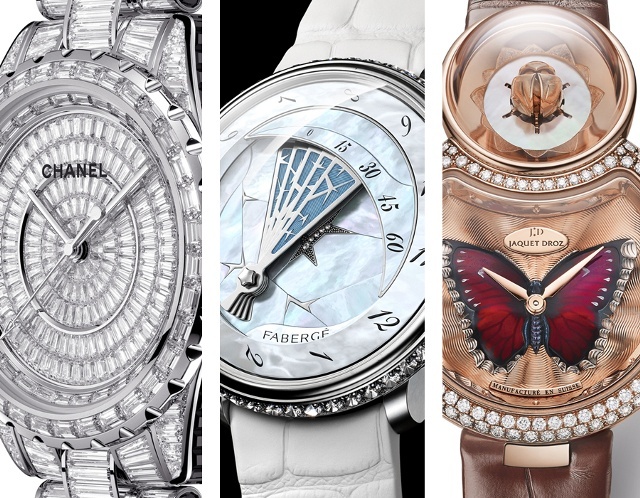 The most obvious trend in ladies timepieces for some was, happily, a non-trend for those of us closely attuned to watches. It seems that ladies mechanical models—which were considered so cutting-edge several years ago—have made it to the annals of watchmaking. As a result, luxury brands are enjoying the freedom to produce some truly incredible feminine pieces that are straight from the heart of their métier, with neither trendy nor fashion anywhere in their vocabulary. So too, jewelry pieces are more likely than not to be mechanical, flying in the face of the unwritten dictum from not so long ago that said that if it was sparkly (or for after 5), it must be quartz. 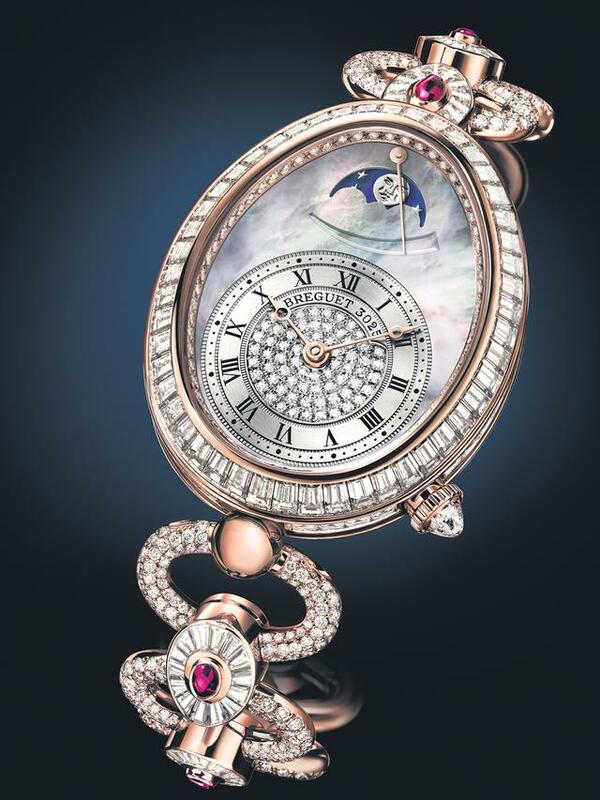 Some impressive line extensions are forthcoming in 2015, such as stunning haute joaillerie Reine de Naples pieces from Breguet, and beautiful additions to Jaquet Droz’s Lady 8. New iterations of Chanel’s J12 continue to stop traffic, and there appears to be no end in sight. 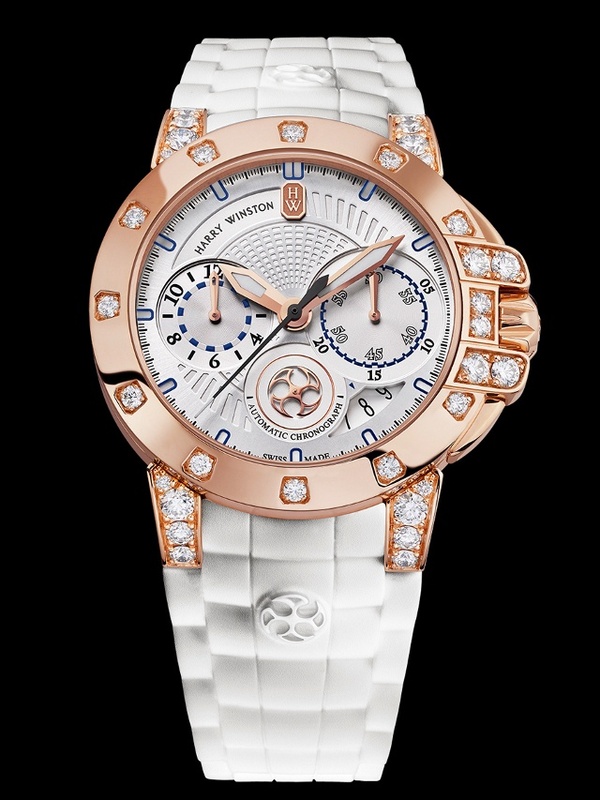 Harry Winston’s HW3204 caliber-driven Ocean Chronograph Automatic 36mm, some models with 1.55 carats of diamonds on the case and .04 carats of diamonds on the buckle, give exalted meaning to ladies mechanical sport watches. And Fabergé’s completely new Lady Compliquée (with either a fan-like or peacock motif for the retrograde minutes), with its ingenious Agenhor-designed movement, is a study in perfection. Its debut coincided with the revelation of the company’s Pearl Egg, the first Imperial Class egg created in nearly a century wherein the Fabergé name and the Fabergé family are once again united. See iW magazine for more in-depth reviews of these watches and more in upcoming issues.